Idk. They win a lot more at pretty much every other sport. I don't think there is much pressure to win there. 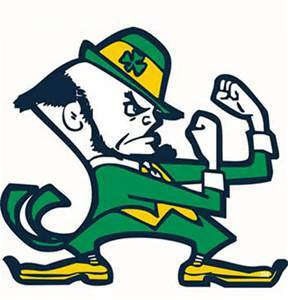 ND didnt make a NCAA tourney until this century. No coach other than the current dude has had a record over .500 there. As long as they are a decent team ND ain't gonna get rid of him. Hockey is very far down on the list of priorities in South Bend. It's the 3rd most important WINTER sport on campus. 12 games of baseball are definitely statistically significant! Joe Blacks is a mediocre bar even by Grand Forks standards. These guys gonna win 95 games and the series this year. I'm a fan of Speedway. 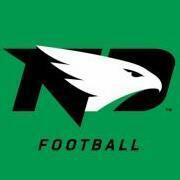 UND isnt lightyears ahead of any (insert state) U or (insert state) State University. I'd wager UND and NDSU are pretty close to the bottom as far as academic rankings vs other states' flagships/land grants. That's perfectly fine. Doesn't make them bad. I am saying if UND's big recruiting pitch was school quality, they would probably be closer to the bottom of D1 hockey than the top. I don't think UND wants to get into a "quality of the school" recruiting battle. That's a fight they'll lose most of the time. Lots of very high end schools in the world of college hockey. These uniforms are so ugly that they work. God is still mad that ND let Obama speak at graduation like 10 years ago. He is ignoring Mary's pleas for victory. See you boys next March!